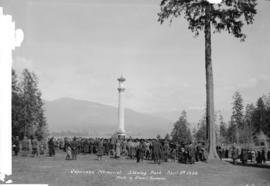 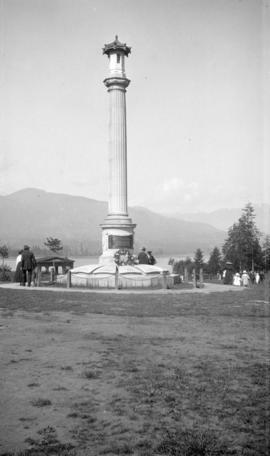 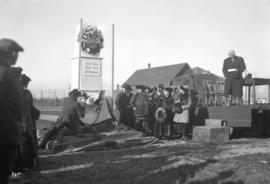 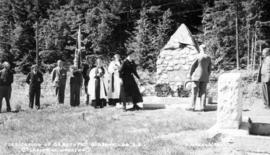 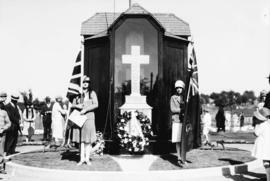 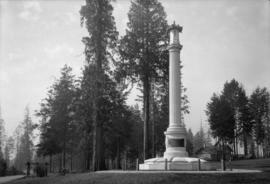 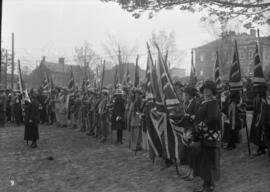 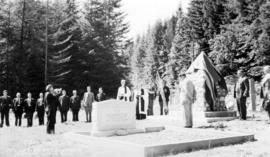 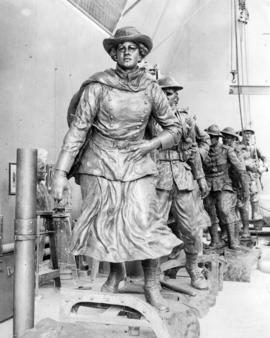 "Dedication of Cenotaph, Gibson's Landing, B.C. 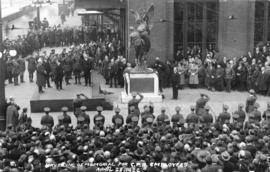 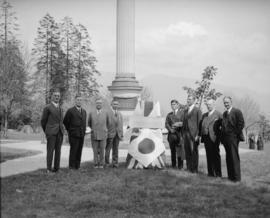 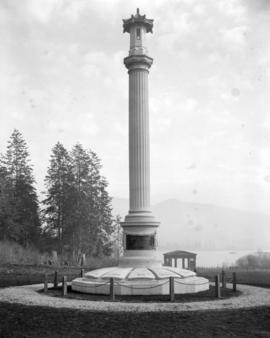 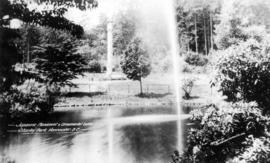 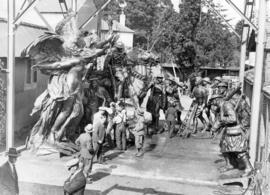 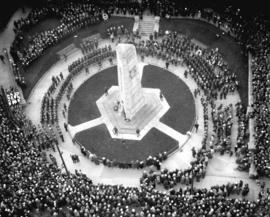 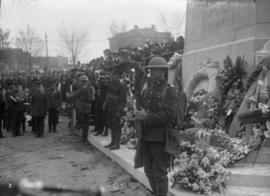 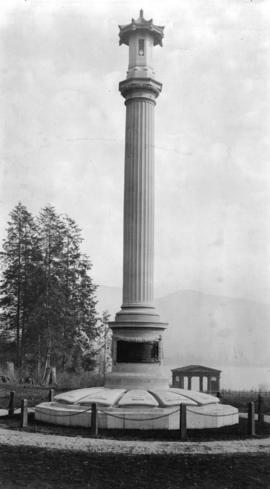 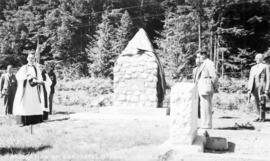 (Last Post)"
"Dedication of Cenotaph, Gibson's Landing, B.C. 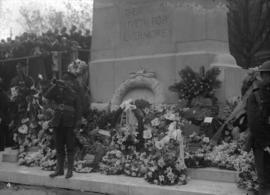 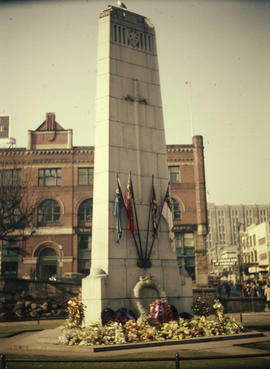 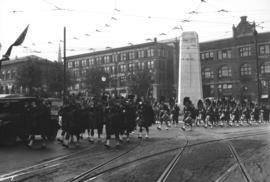 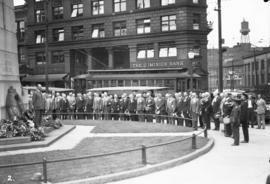 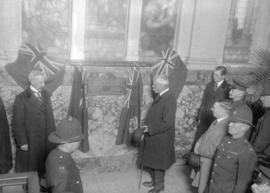 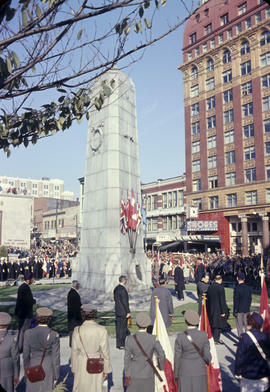 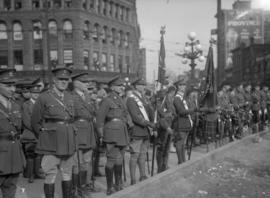 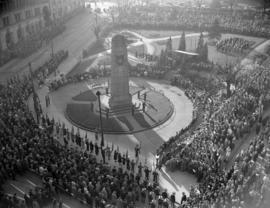 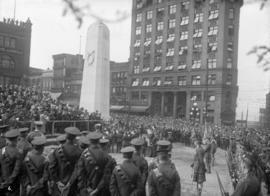 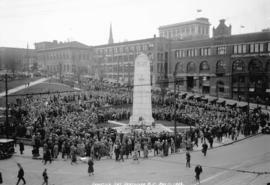 (Placing of Wreath)"
Item is a photograph showing Mayor Rathie placing wreath on Armistice Cenotaph in Victory Square, 150 West Hastings. 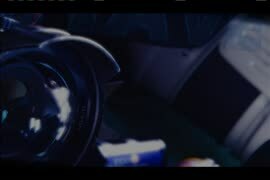 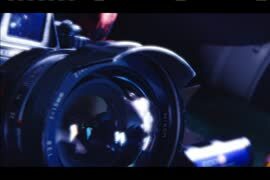 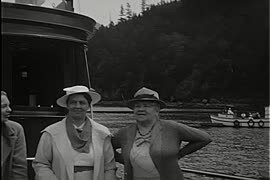 Item is an amateur film documenting a ferry trip to Bowen Island, a parade, and a flag raising ceremony at the cenotaph in Snug Cove. 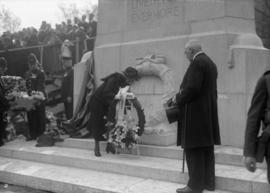 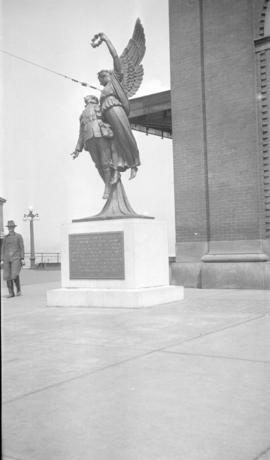 Film documents Col. Victor Spencer in a uniform, and Elizabeth Ann in front of the monument. 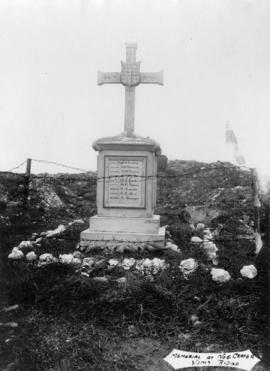 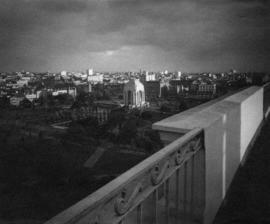 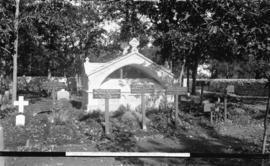 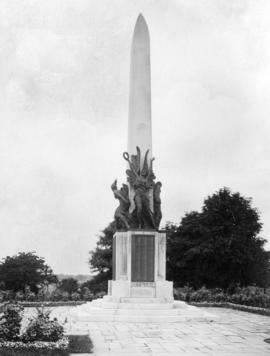 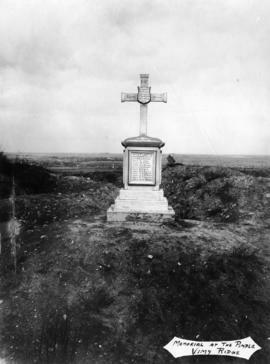 Photograph shows the war memorial. 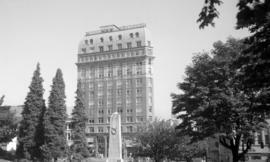 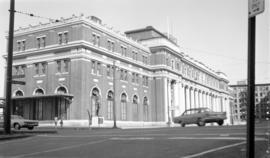 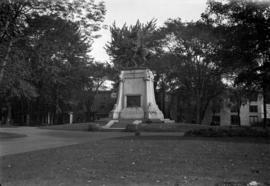 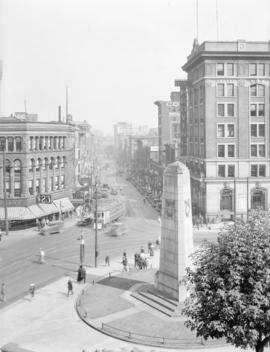 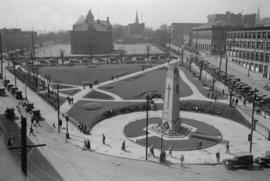 Photograph shows the centoaph in Victory Square. 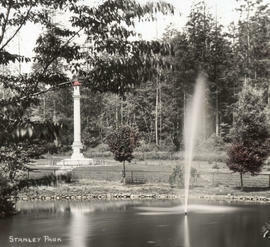 Have Camera Will Travel - Art Brewer, assignment "Palau"
Japanese monument and ornamental lake, Stanley Park, Vancouver, B.C. 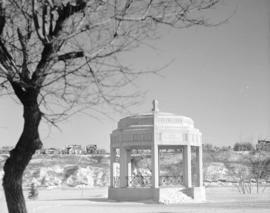 Personal correspondence from 'Rose & George' to L.D. 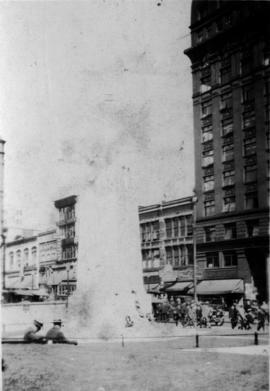 Taylor on the verso. 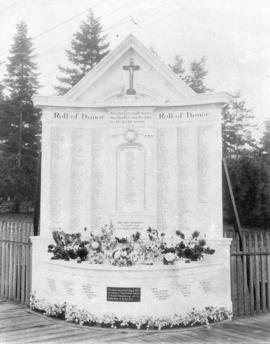 Item is an illuminated manuscript listing the names of City of Vancouver employees who served in the Second World War, including those injured and killed in action.